There is A LOT that I want--this is in part what incited the creation of SugarSpiceStyle; there are no limits in blog fantasy land. I can't help but wonder if I'm really terribly different from someone else in all my wanting (Have you read my post covering Philipp Plein, endorsing the hedonistic message with enthusiasm?). Do you crave things you can't have and probably never will have? These thoughts led me to an insight. My insight: If I were to have everything I want, I'd have so much that I wouldn't be able to use or enjoy most of it. Missoni and MacKenzie-Childs would co-create the interior decor of my private island. I'm observing my own insatiable cravings for "having" when, if I would have everything I'd want, it wouldn't even matter. An example: I'd own more shoes than I could possibly wear in a lifetime. The emotional and pragmatic ramifications of this insight are multifaceted and somewhat contradictory. And, more importantly, what does this mean on a broader scale for the global population? 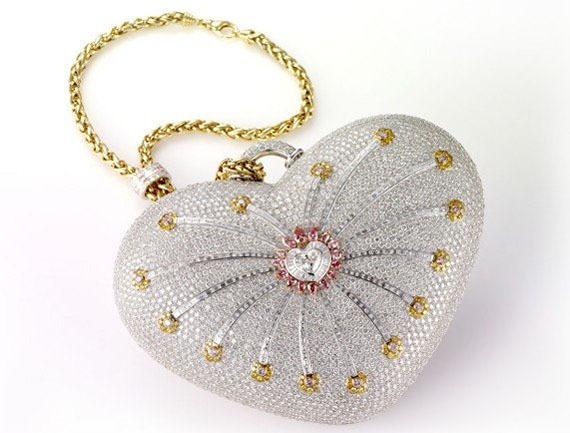 My $3.9 million handbag wouldn't be in the shape of a heart. As I reflect on my insatiable desire for "having," I realize this difficulty with limits mirrors a dynamic on a much larger scale: human behaviors that contravene global limits. Human nature is to acquire, explore, and dominate (supporting evidence: competition, consumerism, manifest destiny, wars for the purpose of having a dominating ideology or territorial expansion). How do I resolve satisfying my need for "having" with the constraints of limits? How are people going to come to terms with global limits despite these aspects of our human nature (and all the tempting things there are to have and indulgent ways to live)? After mulling over my insight, it left me with two main feelings. One, a feeling of disappointment: it will be impossible for me to ever be satiated with my current mindset and take full advantage of my desires. Two, a feeling of freedom: I am free from trying to have everything I want. I don't need everything I want, and I don't need to strive for having everything I want. This is an obvious statement, but one I've previously accepted cerebrally, not emotionally. I realize in my obsession with "having," I have greatly confused wants with needs. I don't need to have what I want. Even what I think I need, I don't. When I get what I want, it's as if a need were satisfied; that's a little skewed. My closet would put Mariah Carey's to shame. This not to say I'm going to stop wanting, but I have a window to a different perspective. Accepting limits looks a little easier; no, I don't need to buy 4 nail polishes, I can buy 3 (it's a work in progress). I can be satisfied with not striving for "having" once I recognize the absurdity of all of my wants. Absurd to the point of having no utility once-so-ever or the opportunity for enjoying what I have. How many things do you own with the price tag still on them that you've had for more than a few months? How many things would you own with the price tag still on them if you had no limits imposed on you? How often do you buy something because it's a good deal or you like it, without thinking about whether you'll use it? 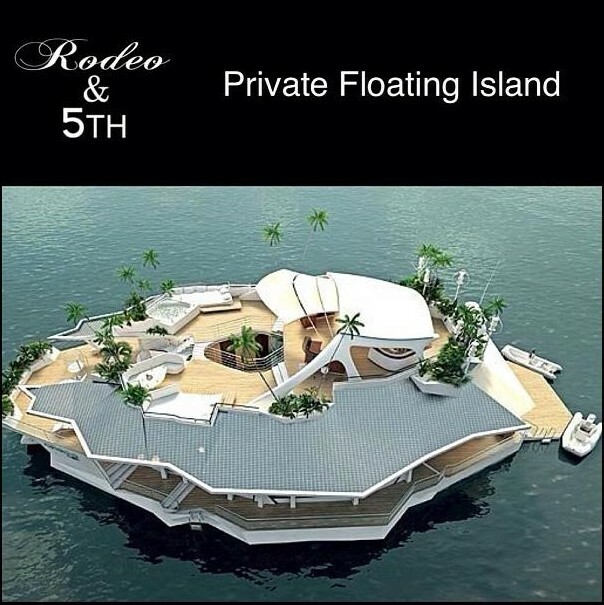 Is this what we're doing on a global scale? 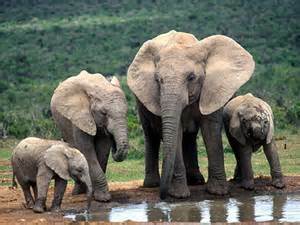 I'd buy all of the forests with wild animals to protect their habitat. The apparel industry, marketing and culture, and shopping behavior play a role in the consumption and waste of goods (the equivalent of resources) on a global level. One statistic estimates that the amount of clothing thrown away each year by Americans would equal each person in the U.S. disposing of 68 lbs of clothes in one year (NCBI). We need a combination of limits, technology, new habits, and a slight shift in culture to change this. The Wanting Enigma: Part II discusses some of the changes that are happening to address these issues and ways we can all participate.